The Vineyard Hotel is steeped in over 200 years of history. Guests can enjoy luxurious rooms in this magnificent hotel situated in six acres of beautiful landscaped gardens on the banks of the Liesbeek River in Newlands, Cape Town. 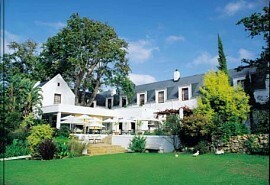 The Vineyard Hotel is situated in 6 acres of beautiful gardens in Newlands, Cape Town. 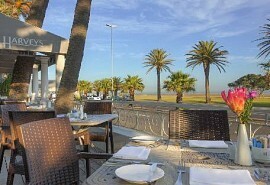 The hotel is known for its magnificent location, warm hospitality and gourmet cuisine. The hotel offers luxury accommodation as well as a well equipped health and fitness centre. With over 200 years of history within its walls, this deluxe 207 roomed hotel is situated in seven acres of attractive landscaped parkland on the banks of the Liesbeek River. The Vineyard Hotel is within easy walking distance of the up-market Cavendish Shopping Centre and is just 10 minutes away from the City Centre and the popular Victoria & Alfred Waterfront. This beautiful establishment comprises the original home of Lady Anne Barnard and new bedrooms designed by highly acclaimed architects Jack Barnett and Revel Fox. It is filled with works by leading South African artists and offers rooms ranging from single to family suites, both mountain and courtyard facing. 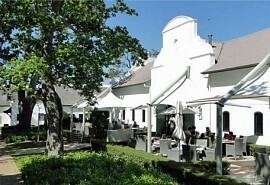 The Vineyard Hotel is located on the banks of Liesbeek River. The hotel is in walking distance of Cavendish Shopping Centre. Myoga restaurant, at the hotel, was opened in 2007, by multi-award winning Chef Mike Bassett. The spas at the hotel received awards for Winner of the World Luxury Spa Awards 2012 which included, Banyan Tree Spa brand voted as Global Winner for the Best Luxury Spa Group and Angsana Spa as the best Country Winner for Best Luxury Medical/Wellness Spa in South Africa. Steenberg Hotel is an historic wine farm situated in the beautiful Constantia Valley, against the slopes of the Steenberg Mountains. This award-winning hotel and winery offer luxury and style in complete serenity with breathtaking views over the surrounding area. 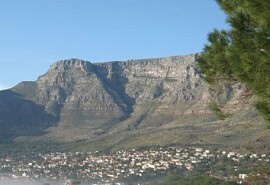 The Cellars-Hohenort offers a prime location in the Constantia Valley in Cape Town on the eastern slopes of Table Mountain and the nearby Kirstenbosch Botanical Gardens. The hotel offers luxury and style and is situated in 9 acres of beautiful gardens and vineyards.